1916 to 1947 — Denver Buddhist Church was established in 1916 with the arrival of Reverend Tessho Ono and family, supported by the meager financial resources of a devoted, beginning Buddhist Congregation (Sangha). The physical church building occupied various locations in downtown Denver, including this building, pictured below, still standing at 1942 Market Street. 1947 to Present — The current Temple, located at 1947 Lawrence Street and, coincidentally, constructed in 1947, was built and supported by a strong Sangha of approximately 300 Colorado families. Together, the building and the Sangha have hosted festivals, bazaars, youth and adult sports, Inter-faith services, conferences, cultural groups, clubs, scouting troops – all researched, documented and re-introduced in the 100 Year Celebration history book. The main area of the Temple (Hondo) was rebuilt in the 1960’s after an electrical fire underneath the altar area (Onaijin). Remarkably, the wooden statue of the Buddha remained intact. The Temple building was expanded through the City of Denver’s Urban Renewal Project in the 1970’s—resulting in Tamai Tower and Sakura Square—and has preserved the religious and cultural aspects of our heritage. 2015 – TSDBT built/installed a Nokotsudo (columbarium). This room houses the ash remains of former Members in individually purchased niches. The shelving is arranged around a small Buddhist shrine where visiting members may sit in reflection or arrange to chant with a minister. 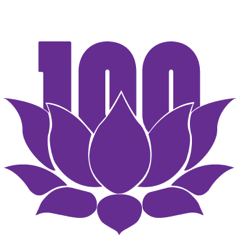 2016 — Tri-State/Denver Buddhist Temples (TS/DBT) celebrated their 100 Year Anniversary in 2016. Events and gatherings were held throughout the year — culminating in a three-day celebration from September 30 through October 2, 2016. Although the surrounding Lawrence Street landscape has changed drastically since 1947, the Temple remains an important part and sometimes focal point of the Japanese American and downtown community. The Denver Temple also serves as Headquarters for Jodo Shinshu Buddhist Temples and Sanghas in Colorado, Wyoming, Nebraska and New Mexico.